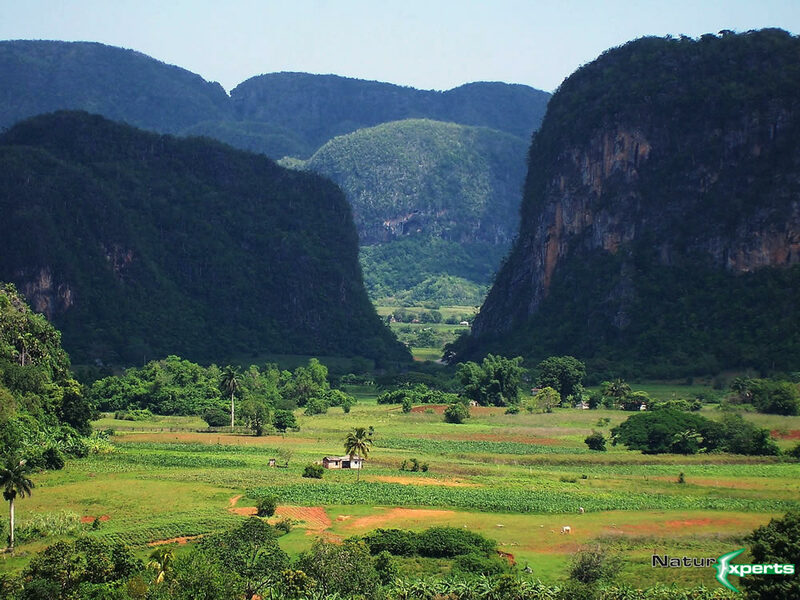 Pinar del Río province is located at the west end of Cuba and has the most beautiful landscape of all Cuba. Viñales Valley covers an area of 132 square kilometers and stands out for the impressive mountains of vertical sides and round tops covered by an abundant vegetation known as mogotes and caves like Cueva del Indio (Cave of the Indian) and the cave of Juan Miguel, both of them located in the Pinar del Rio province. Pinar del Rio’s fauna is highly endemic, including birds like the bee hummingbirds (Calypte helenae), Cuban trogons or “tocororos” (Priotelus temnurus), cartacubas (Todus multicolor), nightingales (Myadestes elisabeth) and Cuban grassquits (Tiaris canora). 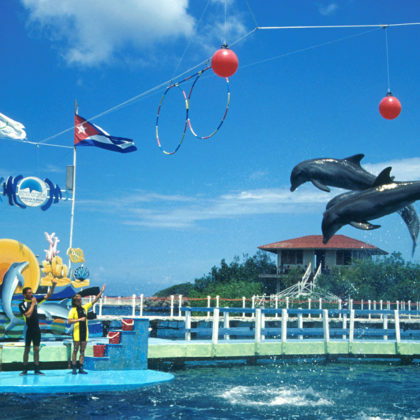 The Península de Guanahacabibes is located on the west end of the province of Pinar del Rio. Here there are two natural reserves: El Veral and Cabo Corrientes, as well as an International Diving Center, María la Gorda, with nearly 40 diving sites and an abundant colony of Black Coral on its bottoms. 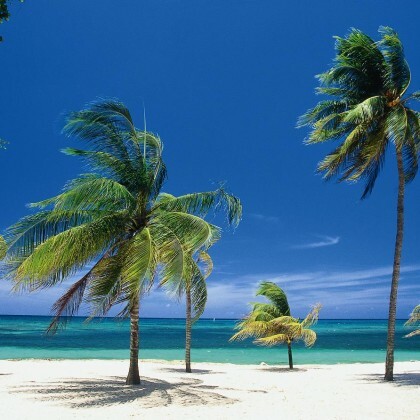 This beach of Maria La Gorda has beautiful fine sand, the seabed here is one of the richest in Cuba in terms of biodiversity and has the largest colony of black coral in the archipelago. At its 39 scuba-diving sites, you can see gardens of gorgonians, sponges, a long wall with grottoes, abundant marine fauna and artifacts showing that both pirate and merchant ships used to anchor here in the past. The Guanahacabibes Peninsula world preserve of the biosphere is a sparsely-populated area at the western tip of Cuba. It has large forests, dozens of lakes, caves, abundant fauna, white sandy plains and a beautiful strip of cliffs along its southern coast. Here, you can see evergreen forests, mangrove thickets and wetlands vegetation typical of sandy areas; several archaeological sites at places which used to be aboriginal settlements; and long, solitary beaches with fine white sand. At or near all of these places, you will find dependable hotel services. The Mural of Prehistory, which is 120 meters high and 180 meters wide, was painted on the slope of the aforementioned hill. It is a singular representation of the biological evolution of Sierra de los Organos, also in western Pinar del Río province. The passage of time has failed to erase this breathtaking work of art with images of the plesiosaurus and the megalonus rodens, painted with singular ability on the hill’s slope. 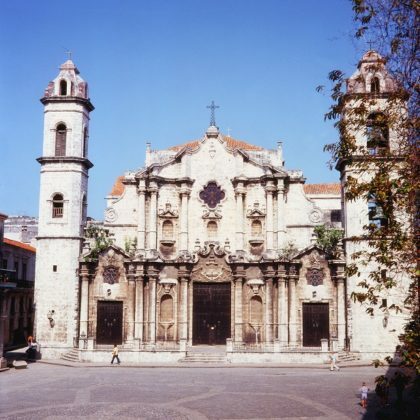 Soroa is a beautiful site some 70 km (43 miles) west of Havana on the way to Pinar del Rio. It has a rich flora, with many species of trees, shrubs, wild orchids and ferns. Its fauna includes one of the smallest frogs in the world, and around 70 kinds of birds have been reported, many of which are endemic. 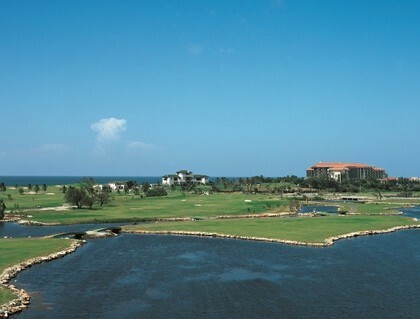 The buildings in the Las Terrazas Community have been designed to blend with their surroundings. The nearby ruins of French coffee plantations from the 19th century are an additional attraction. Cayo Levisa, off Pinar del Río’s northern coast, where travelers arrive after a 30-minute boat trip from Palma Rubia, has three kilometers of excellent beaches and 23 diving sites. The coral reef has 500 species of fish, 200 species of sponges and large populations of mollusks, crustaceans and other marine animals. 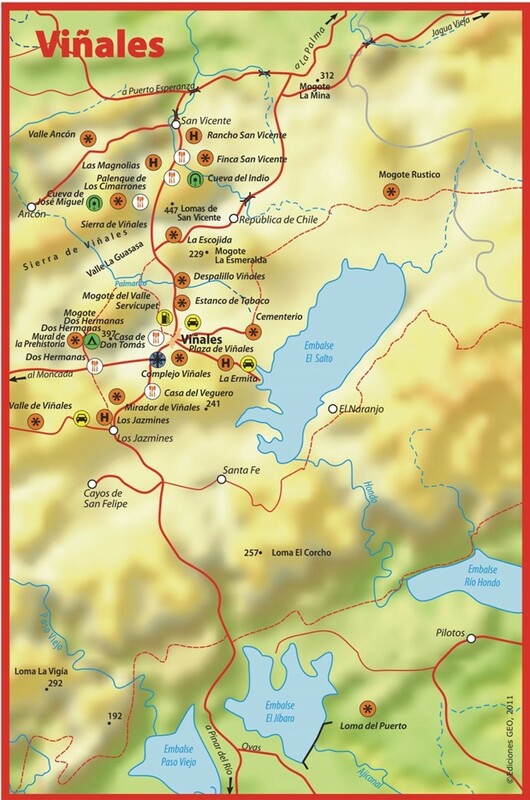 Just west of the Sierra de los Rosario, in the foothills of the Sierra de los Organos, you’ll find La Güira National Park and San Diego de los Baños. La Güira is a small park that is a favorite stop for bird-watching tours and general sightseers. San Diego de los Baños is a tiny town built on the edge of a lovely river. The well-gained fame of San Diego de los Baños dates back some centuries ago, exactly to 1632, when a fortuitous event involving a slave brought to light the almost miraculous properties of its springs. The anecdote – almost a legend – about Taita Domingo, a slave whose masters had granted him his freedom because he was seriously ill with skin lesions, and who wandered around the farm, has survived the passing of time. 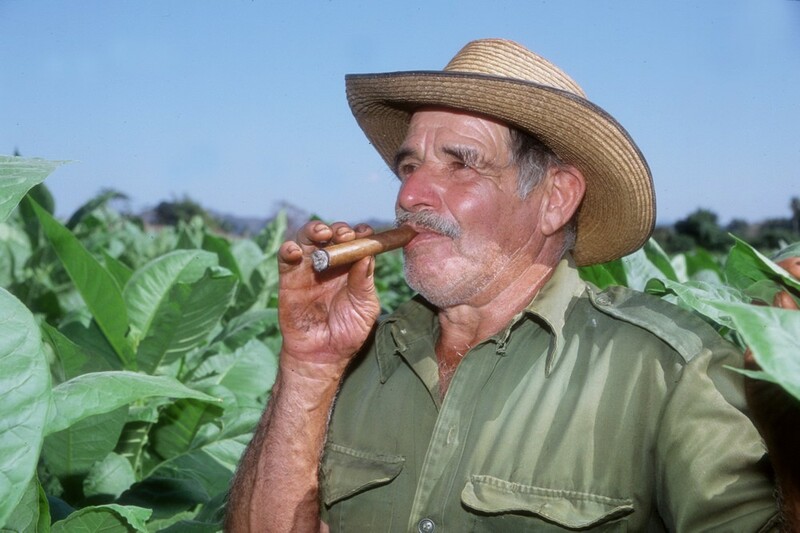 During one of his walks, Taita Domingo discovered a spring later called La Gallina, which waters relieved and even cured his ailment, thus marking the beginning of a new era for that eastern Cuban region.